My Morning Jacket is in Austin tonight playing a sold-out show at Stubb's. Am I going? No. Am I jealous? Yes. However, in typical Austin fashion tonight is the night that I'm seeing Nas and Talib Kweli. I say this is typical Austin, because if there is one big name in town chances are there is another big name in town the same night. For those of you who feel like paying for scalped tickets you could go to both shows. Stubb's ends early, and Emo's ends late. In addition to playing at Stubb's (aka Waller Creek Amphitheater), My Morning Jacket will also be taping their second appearance on KLRU's Austin City Limits tomorrow evening. Obviously getting into the ACL taping is damn near impossible, but you can keep an eye on the KLRU blog. 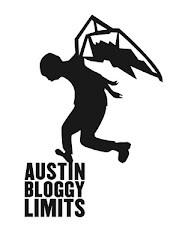 Also, austinist ran a ticket give away last week they may do it again. Who knows, maybe KGSR will have a give-away as well. The official ACL ticket hotline(512.475.9077) claims there are no upcoming tickets for anything. Here's a clip from when Z came out and My Morning Jacket appeared on Letterman with members of the Boston Pops.